Homeowners, particularly creekside parcel owners in San Geronimo or Lagunitas Creek Watersheds, you can have your property surveyed for free. 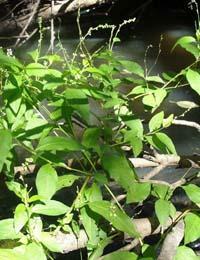 Join the effort to eradicate Japanese knotweed by completing the participation survey form. You can do so either online, or by downloading and returning this form. Thank you! Typically knotweed is found in wetter areas; floodplains, riparian corridors, seeping springs and even septic leach areas. 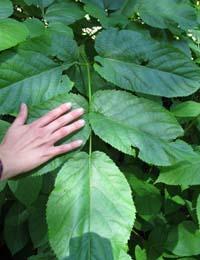 Japanese knotweed leaves are thick and leathery, about 4 to 5 inches long, bearing few hairs, square across the base, and with an abruptly tapered tip. Flowers are white, about 3mm across, each bearing 3 to 5 petals and borne in a cluster. Its stalks appear as canes similar to bamboo. Attempting to manually remove young to mature plants stimulates their growth and spread. This is because the plant can easily reproduce from fingernail size pieces (0.7 grams). Rhizomes (underground stems) have been documented to extend 23 feet horizontally and 10 feet deep. It can grow through concrete, pavement, and housing materials. Incomplete removal has the effect of further spreading the weed. 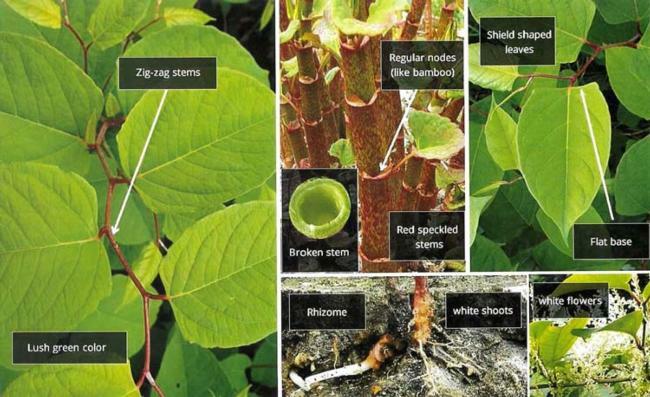 Please forward any observations of Japanese Knotweed you have or questions about the plant to the MKAT. 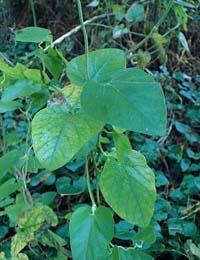 You can reach the Japanese Knotweed Outreach Coordinator, Anna Dirkse, at acdirkse@ucanr.edu and at (415) 473-6070.